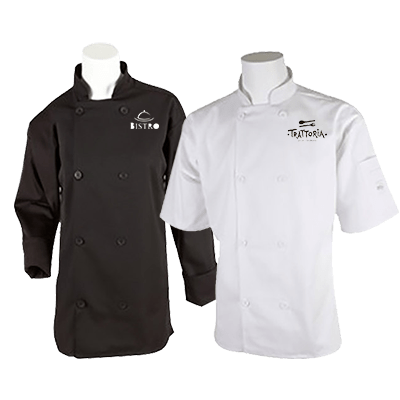 When working in a commercial kitchen, your staff will require a uniform that looks distinct, professional, and presentable while also allowing for the maximum amount of comfort. These items range from simple, short-sleeved shirts to stylish jackets that will look even better with your restaurant's unique branding. Chefs are some of the most important employees you house in your restaurant, and the proper tools for the job aren't limited to just the utensils they work with, but include the uniform they wear on a day-to-day basis. 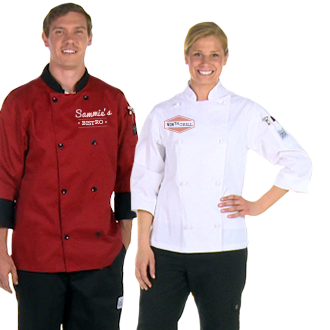 These chef coats and shirts provide a comfortable, customized fit in any setting. Provide unparalleled flexibility with unique customization today!